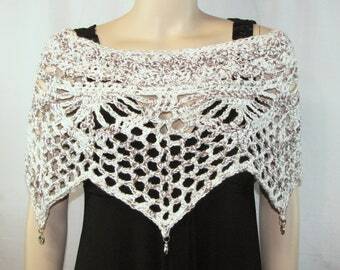 This MADE TO ORDER women's crochet poncho, shawl, ruana, cape, kimono or shrug would be perfect over an outfit for any formal or informal event, or even to wear every day. And, you can order a matching girl's or teen's version at the link that follows!! How fun would it be to wear matching Mommy and Me ponchos on Mother's Day or to another special event? 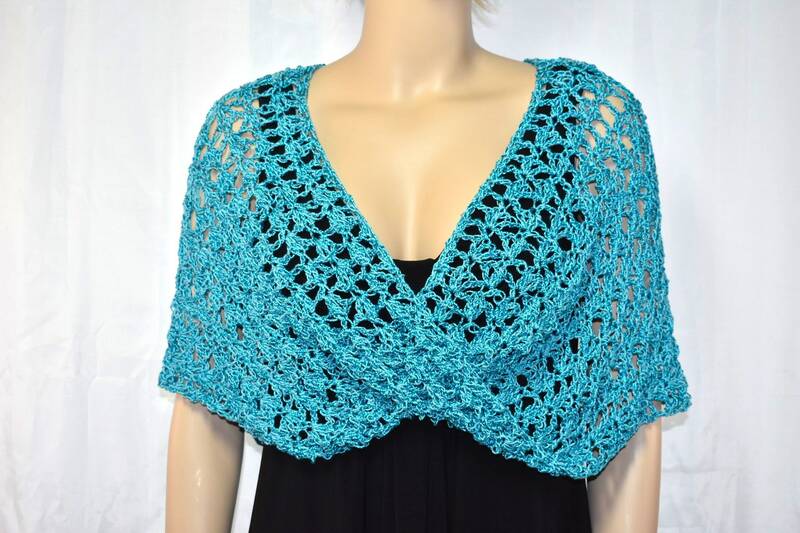 The poncho is triangle shaped on one side and has an infinity twist on the other side. It can be worn with the twist in front or back as show in some photos OR pulled forward, backwards or shifted to the side for several other fabulous looks! This listing is for solid colors only. 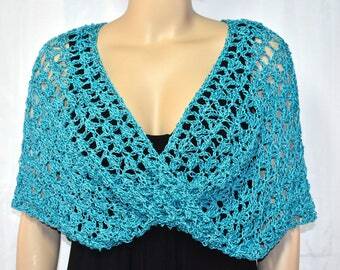 Check out my other Infinity Twist poncho listings for a variety of multicolored options! It's generous design wraps and drapes beautifully, flatters every figure, and will fit a range of sizes. XS - fits misses' sizes 2-6. S - fits misses' sizes 6-8. M - fits misses' sizes 10-12. L - fits misses' sizes 14-16. XL - fits misses' sizes 18-20. XXL - fits women's sizes 22-24. The poncho fits across the shoulders and drapes at the twist. Depending on the size chosen, the triangle side of the poncho will hang between 23 to 30 inches from the neck to the triangle point. On the twisted side, the poncho hangs about elbow length. The twist itself is about 5 inches tall/wide. It's best to clean this poncho in a dryer bag in the clothes dryer on low heat using Dryell or a similar product.